Internships are the gateway to the job of your dreams. When your dream is to be a reporter then you might be thrown into the hustle and bustle of journalism, also known as the newsroom. Some of my fellow classmates sit in boardrooms or study analytics at corporations, but that life isn’t for me. I’ve chosen the path of a storyteller, so what better place to start my career than WSB-TV. In case you’re unfamiliar with, WSB-TV, or Channel 2 Action News as it is commonly known, is the ABC affiliate in Atlanta and the No. 1 station in the city. If you’ve ever seen a kid in a candy store, that was me on my first day in the newsroom. The first thing I saw was a giant banner that read: “#1 news team in the country.” If that didn’t set the bar high enough, I quickly saw TV icons Fred Blankenship, Jovita Moore, and Justin Farmer. If you grew up in Atlanta in the past 10 years, then these people were your media icons. Going into my internship I wasn’t sure if I wanted to report hard news (crime or investigative reporting), sports, or entertainment. I applied for the position because I wanted to see if television news was for me. I wanted to gain more on-camera experience and soak up all the knowledge I could possibly gain. As an intern, I was responsible for going with reporters on assignments and watching them gather the information and video needed to tell impactful stories. While in the field you were put on the spot and told to do your own version of the live shot. My first time holding the mic I was more nervous than a sinner in church. 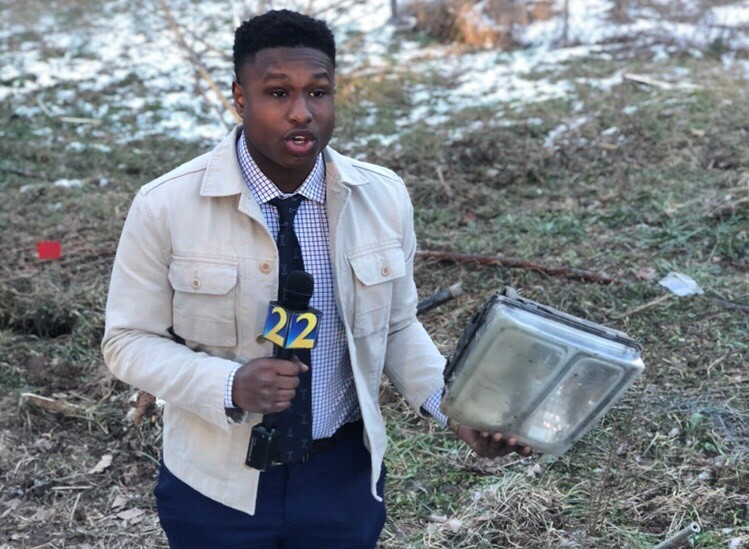 Through a little courage and amazing coaching from Channel 2 reporters, my on-camera presence improved every single day. Nerves aside, I’d say the highlight of my internship was pitching stories the team aired on television. My curiosity and vision lead to content that millions of people watched. And once you get a taste, you want more. My search for the next story made me addicted to finding hard news. By the end of my internship, I had pitched five stories that were broadcast. My favorite one was an investigation I did unmasking a coverup on at my own school, Georgia State University, involving a former bookstore employee. I got the tip of all places at a college party during spring break. Like most stories you hear, you have to separate the truth from rumors. I spent the next week of my life obsessing over this story until I had the information I needed. I hunted down sources, searched social media, and found the evidence I needed to pitch it to WSB. I was basically a full-time investigative reporter, uncovering stories affecting the public’s safety and, in this case, money. That wild story at the party led to my first big exclusive. A Georgia State University Bookstore supervisor was accused of stealing more than $40,000. Coincidentally, he was wanted for outstanding warrants for child molestation. Knowing every twist and turn proved why I needed to spend hours researching the story before pitching it. Interning at WSB taught me how to look past the surface level of every situation. It’s never what you think you know, but what you can prove with visual evidence or on paper. While I enjoyed my investigative work, my experience at WSB didn’t make me choose the path of hard news. But it made me appreciate working for a well-oiled machine and being the best at what you do. I’m not sure if I’ll work in television news, but the rush of this business is one thing I look forward to when I graduate. The impact these people make in their communities makes the long hours and hard work worth it all. Hopefully, I’ll decide which aspect of the field is for me, until then I hope to continue working on my craft. Who knows? I may return to Channel 2, but next time I’ll be on your TV screen instead of behind the scenes. Cecil Hannibal is a senior at Georgia State University majoring in broadcast journalism. 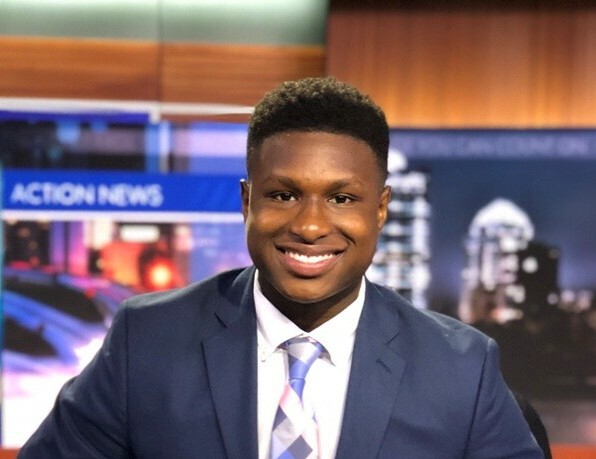 He was a spring intern with WSB and is a summer intern with WLKY in Louisville, Kentucky. The Byline is sponsored by Georgia Power, a Southern Company.